CIRCLES has reached its enrollment goal! The study now has 1,100 participants and we thank all of you who continue to participate. A network of academic sites and clinical laboratories with special expertise to enroll participants and collect clinical data (medical information) and biospecimens. A biorepository (blood bank) that ensures safe storage and ready access of biospecimens for breakthrough research in NMO. If you are one of the over 1,100 participants who joined CIRCLES, thank you! Without you we could not have reached our goal. What’s important now is that you continue to visit your CIRCLES researcher twice a year to donate your blood and update your health records. What Happens to Your Samples? Your samples will be stored at the CIRCLES Biorepository. This is like a library where your samples will be kept along with de-identified medical information for authorized NMO researchers to access for research toward cures. What is the CIRCLES Site Network? 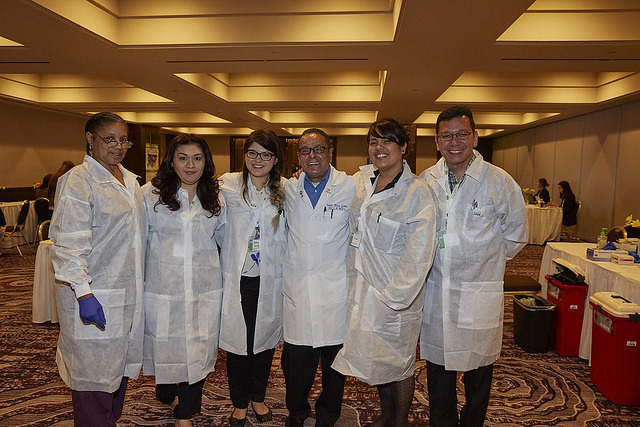 The CIRCLES network consists of multiple centers of excellence with deep expertise in caring for and studying patients with NMO. CIRCLES sites are located at leading medical centers across North America. CIRCLES sites in regions of the U.S. and Canada (also known as Home Bases) where participants can regularly contribute their clinical data (medical information) and biospecimens. Biospecimen satellite draw sites across the U.S. where CIRCLES participants can contribute biospecimens. A leading principal investigator (PI) in charge of each CIRCLES site. A clinical research coordinator (CRC) who enrolls participants, schedules appointments, answers questions and coordinates clinical data and blood collection. Regional CIRCLES sites include leading universities where neighboring NMO patients and qualified control participants can donate blood and clinical data. Regional sites allow participants who are unable to travel far distances to contribute to CIRCLES. 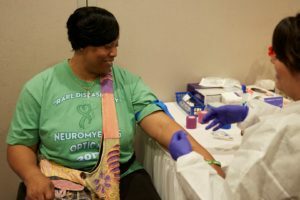 These sites are considered Home Bases where NMO community members can participate, and join support group meetings, host events, and attend regional NMO Patient Days. The CIRCLES Biorepository for NMO works in association with academic centers, reference laboratories, and commercial research organizations to ensure best practices in data and biospecimen management.